I actually had that page bookmarked and open a couple of days ago when I tried to install Trillian Astra in Wine 0.9.61. When I installed Digsby in Wine, it would sign-in and the buddy list would appear and then immediately crash. Not much I could do about that. Most people in that thread were also having trouble with it. I’m holding off on posting about Digsby and Wine, because it has been the closest to success so far. Trillian Astra wasn’t impressive under CrossOver or Wine at all, but Digsby looked a little promising. I’ll give it another shot in Wine, CrossOver was hopeless though. You’ve got to admit that. 😛 Even though it is apparently build upon Wine. I’ll look into the error I was getting. What are the version numbers you’re using for Wine and Digsby? Platform and version? I got the same python errors with just plain old wine so it dont make a difference. 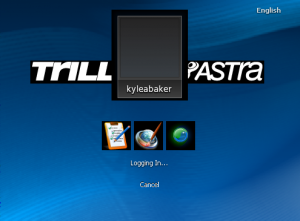 Which version of Trillian did you try? 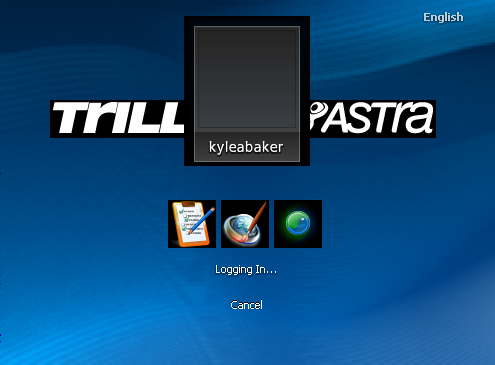 They fixed a problem in one of the latest builds that is supposed to make Trillian only use Vista components if the OS is indeed Vista…and that was what caused most of the problems before. I haven’t tried lately to get it working, but I’ll look back into it soon. Next Next post: Online Alarm Clock back online!